The Intel 300-Series platform made its first appearance towards the end of last year. The Intel Z370 chipset is of course reserved for enthusiasts and gamers who want access to the full-range of features including the ability to overclock Intel K-Series CPUs. Following on from the success of Intel Z370, today Intel unveils the H370, B360 and H310 chipsets; all of which focus on mainstream users who do not require all of the features Z370 brings, nor the heavier price-tag. The new chipsets are designed to appeal to system builders wanting a better value for money experience when pairing up with a non-K Intel Coffee Lake CPU such as the Intel Core i7-8700, Core i5-8400 or Core i3-8100. In our next review we have the MSI B360M Mortar Titanium in the spotlight. 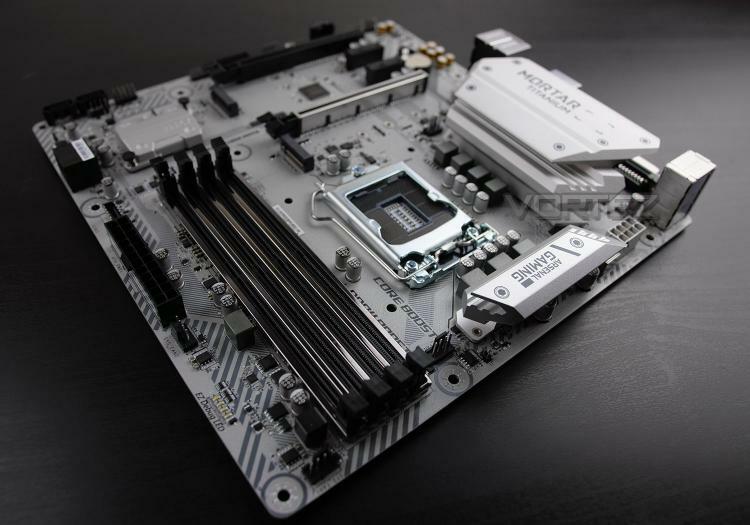 This motherboard dips into two of MSI’s renowned series – Mortar (Micro-ATX) and Titanium (Grey, contrast design). A brief glimpse of the styling quickly reveals a rather unique looking solution which is sure to turn heads and allow those wanting to create a light coloured theme with a good foundation.